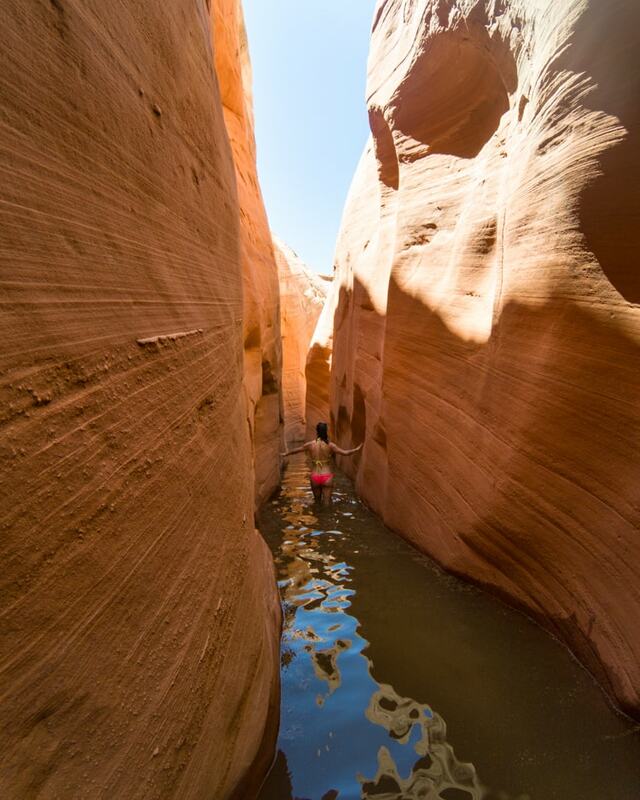 One of the more unknown slot canyons in the area, Labyrinth Canyon is a guaranteed adventure since it is only accessible only by a kayak or stand up paddle board. The actual slot canyon itself is almost a mile long, is fun to navigate with all of its twists and turns, and is up to 30 feet deep at some points. 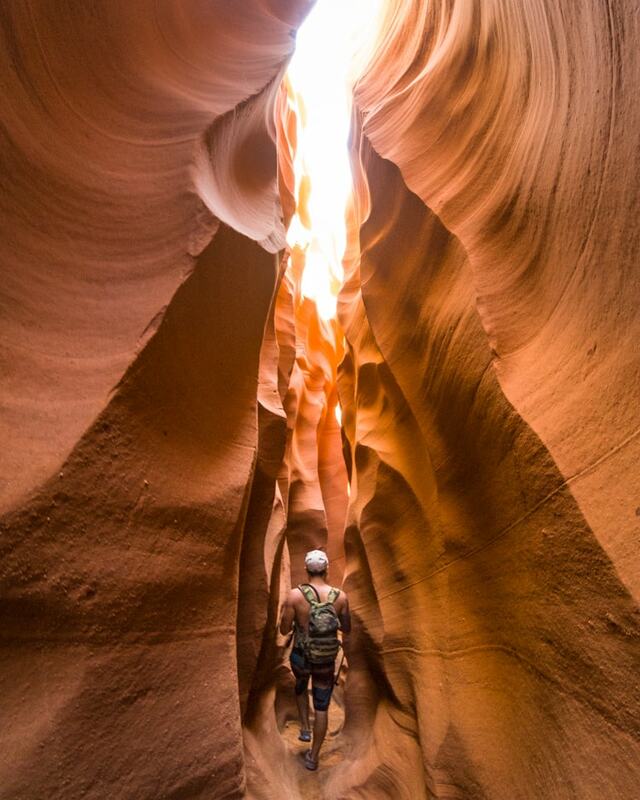 You'll experience the same beautiful, colorful, and smooth sandstone walls found in the famous Antelope Canyon.. but without the crowds and fees! 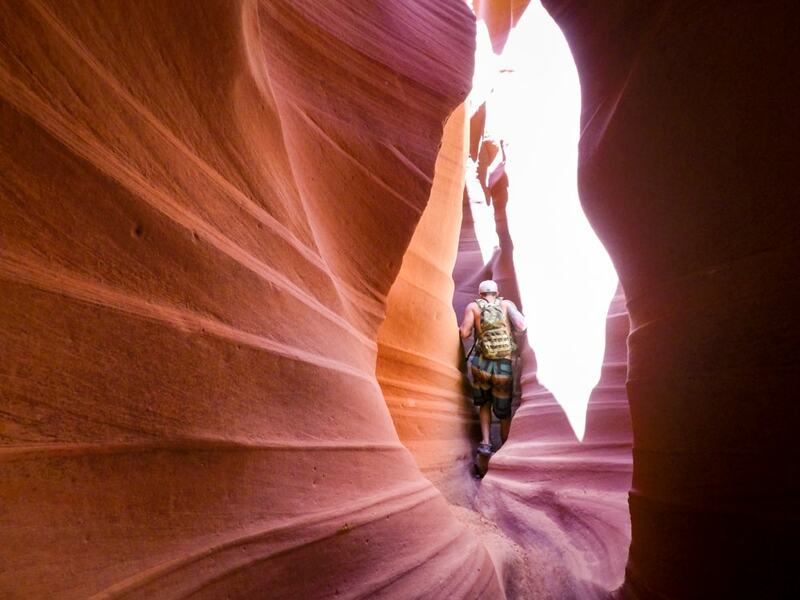 Getting to the start of the slot canyon is probably the hardest part of this trip. 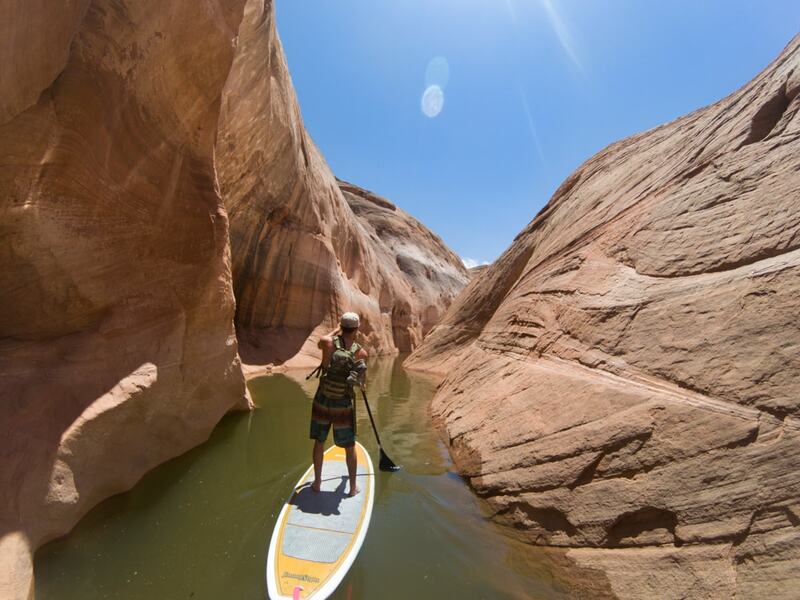 The slot canyon sits at the end of Labyrinth Canyon, whose entrance is located at mile 16 near Padre Bay of Lake Powell, so you'll need some sort of small watercraft like a kayak or stand up paddleboard to navigate up the narrow canyon. 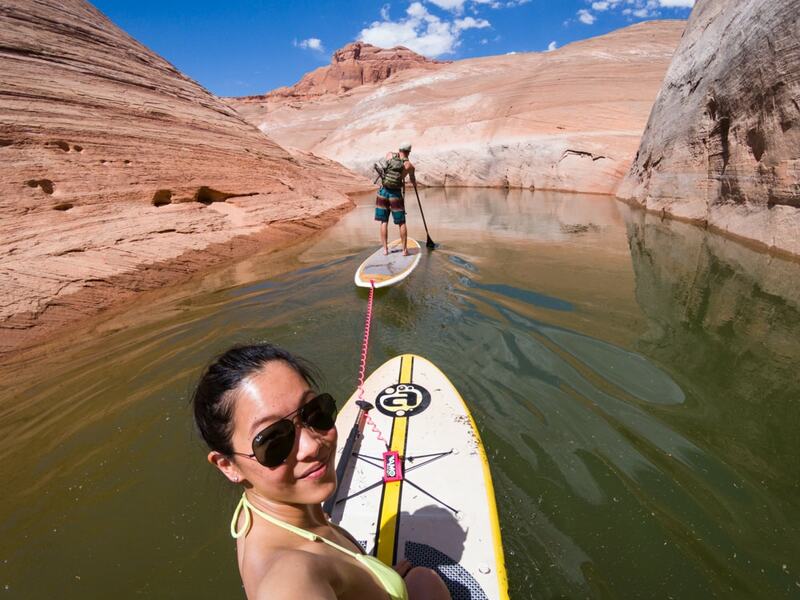 We took a motorized boat from Antelope Marina to the entrance of Labyrinth Canyon before anchoring up and continuing up the canyon on stand up paddleboards. This seems like the quickest way to get to the beginning of the hike, but if you don't have access to a ski boat, you can also kayak from the marina (it's about 11 miles from the marina to the mouth of the canyon) and/or turn it into an overnight camping trip on the lake. Also keep in mind that how long the narrow section of the canyon can be and how deep the pools of water will be will depend on the current water level of the lake. 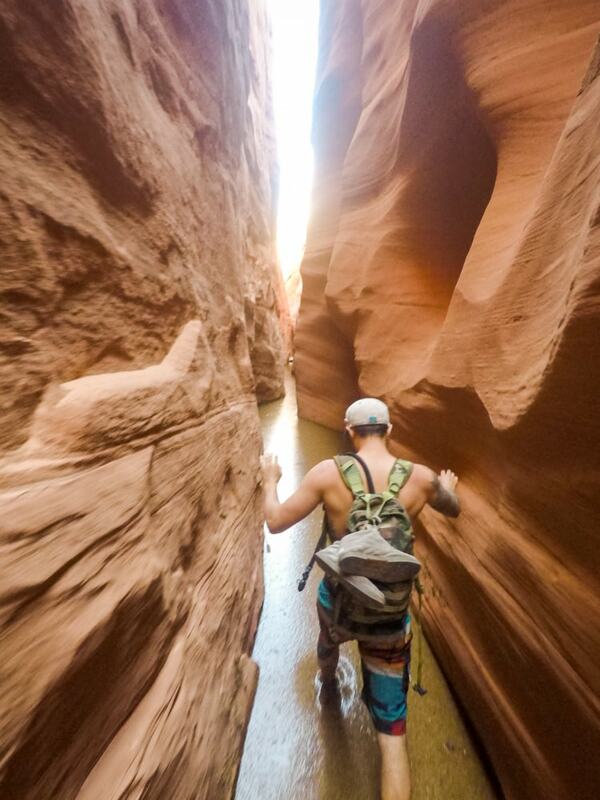 If the water level rises by just a few feet, portions of the slot canyon will be underwater. Labyrinth Canyon is pretty wide near the mouth of the bay, and you wouldn't even guess that it holds a long slot canyon upstream. 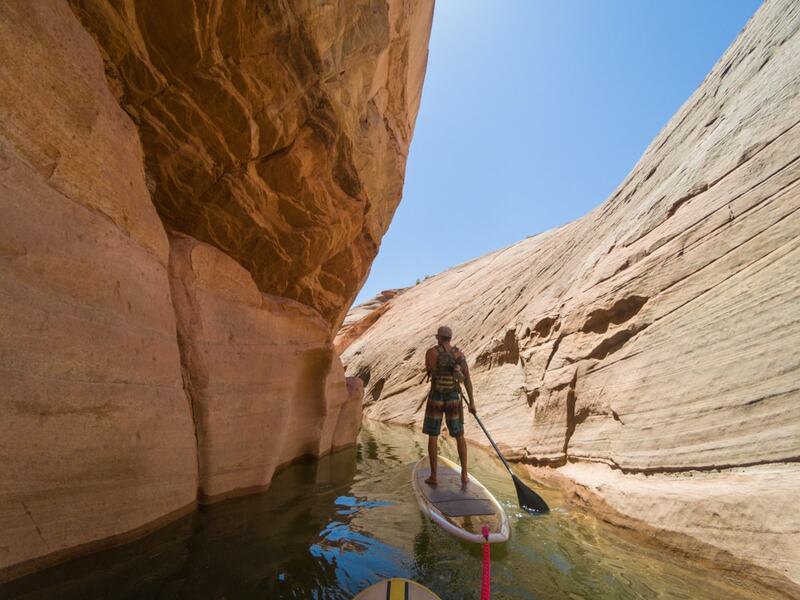 They recently made this canyon wake-less for motorized boats, which made it so much easier to stand up paddleboard in the narrow sections when boats passed right by you. Once the canyon became so narrow that our stand up paddle boards didn't fit, we left them in a small alcove and continued on foot. The water never got deeper than our knees, and the bottom was soft and muddy as we waded up canyon. Finally the water level dropped so much that we reached dry soft sand and the start of the hike! 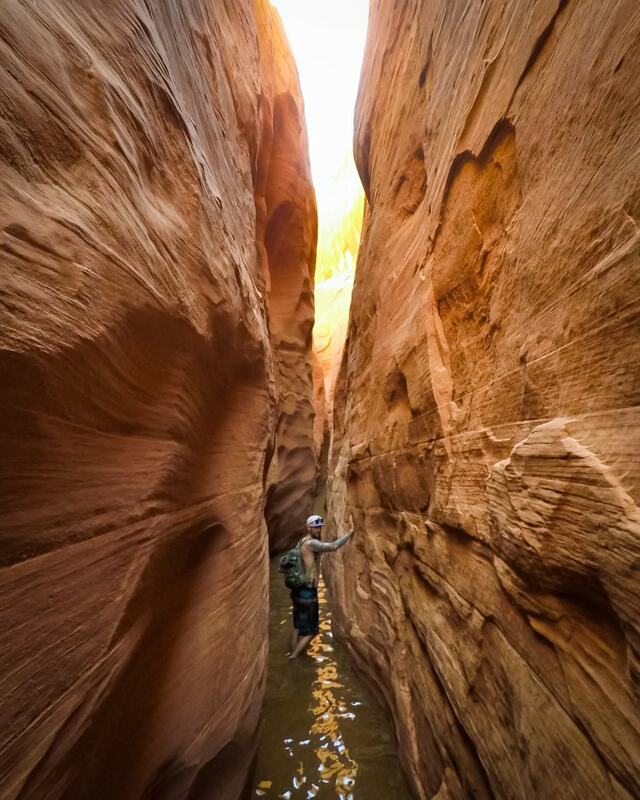 After about 5 minutes of walking, the canyon starts to narrow into a slot canyon up to 30 feet deep in some sections. The canyon is a gorgeous in the sun with warm red, orange, and purple hues. Aptly named Labyrinth Canyon, the route through is especially windy and twisty - you'll find yourself sometimes not seeing more than 2 feet ahead of you because of the sharp hairpin turns in the walls. 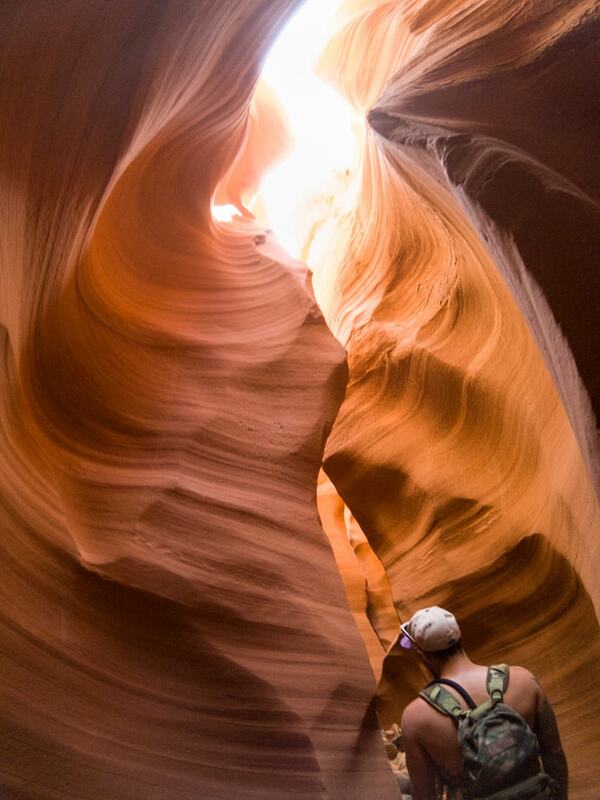 However, unlike other slot canyons in the area, this one is particularly extensive and long. It took us about 30 minutes to make it all the way to the end of the canyon, and the entire time the walls were never more than 5 feet apart. The canyon is not very technical, as there are only a couple spots that required some slight stemming and special foot placement to get up certain ledges. There were also a couple pools of cold water that we took off our shoes for, but none that were deeper than 8 inches. In total it took us about 35 minutes to reach the end of the canyon. Once the canyon opened up, we turned around and headed back to our SUPs. Once we got onto our SUPs, the paddle back to our boat at the mouth of the bay took about 45 minutes. Always nice to hitch a tow! From leaving the boat to getting back took about 4 hours total, including paddle time to the canyon, hiking to the end and back, and then paddling back against the wind. If you are already camping near Padre Bay, this would be a great day hike or kayak adventure for a remote slot canyon experience!